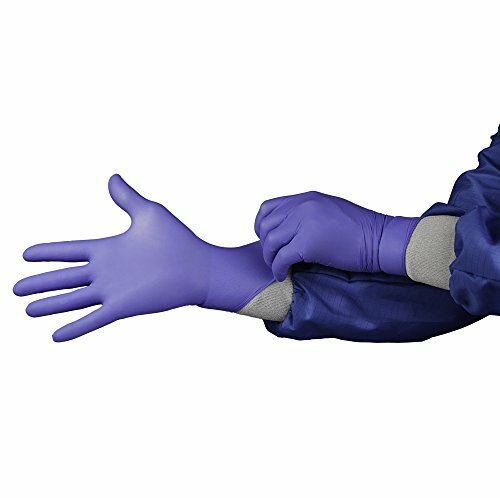 HandPRO 1750 Series Controlled Environment Nitrile Gloves are made from patented LOW DERMA accelerator-free, sulfur-free nitrile with enhanced strength and a secure wet grip. The static-dissipative, powder-free anti-fatigue gloves are 9” long and micro-textured. CE double bagged and compatible with controlled environments ISO 6 and up. Packed 200 gloves per bag, 10 bags per case. Glove thickness typical values: Cuff 0.05-0.06mm; Palm 0.06-0.07mm; Finger 0.10-0.12mm. Available in sizes XS – XXL.